MANY THANKS TO ALL THE VOLUNTEERS AND PARTNERS WHO MADE THE CFTC2018 GIFT MART POSSIBLE! With your help, 203 families shopped for 615 children at the Gift Mart on Saturday, December 15, 2018. If you would like to be a part of planning efforts for the 2019 Gift Mart, please email us at serve@loveoutloudws.com. Work begins in January! The Gift Mart provides an opportunity for parents to purchase, in a store-type setting, new and like new toys and gifts for their children (including tween and teens) at greatly reduced prices. Families who shop at the Gift Mart are referred to us through the non-profits with whom we partner. Parents want to provide for their children. But some find themselves in very tight places and are having a challenge doing so. 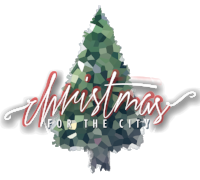 The Gift Mart provides an opportunity for parents to purchase new and like-new holiday gifts and toys for their children at a cost of $2 to $5 each. COLLECT TOYS & GIFTS: Get your office, school, team, organization or neighbors to hold a toy and gift drive. We accept new and like-new toys and gifts. Email the Gift Mart Team to be a drop off site or run a toy drive. We will also have community wide drop off locations later in 2019. AMAZON WISH LIST: We will open up an Amazon Wish List closer to the event. Your purchased gifts will be delivered directly to the Gift Mart Team. VOLUNTEER: Volunteer to help plan the event, the day of the event, or on the prior days. If you're interested in joining the planning team or have any questions please feel free to email us at giftmart@loveoutloudws.com Specific Opportunities will be posted in Winter 2019. GIVE: Make a financial donation by cash, check, text or online. Find complete instructions here or by pressing the "support" button at the top of the page.